It has been bitter cold here, much colder than usual, we have been told! 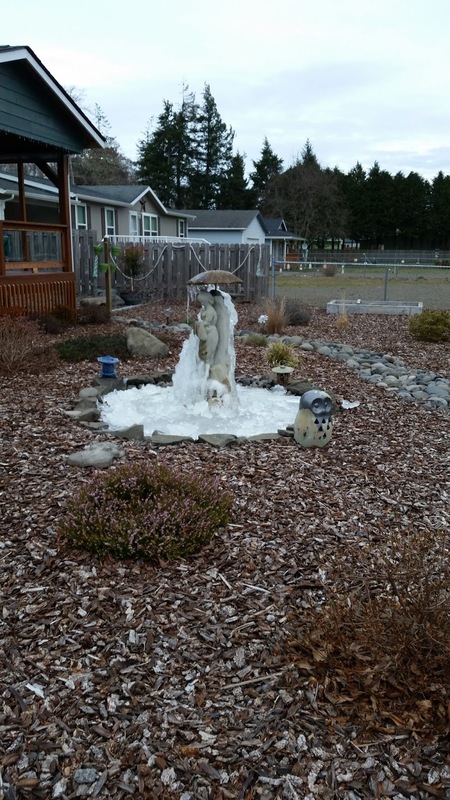 This is our first winter on the peninsula, so we have nothing to compare. 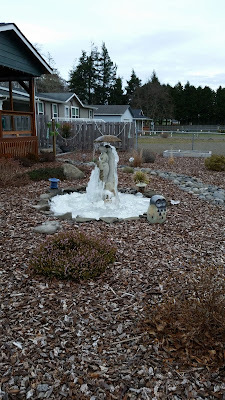 Our neighbor's fountain in the front yard is but an iceberg. After years of heating with wood in our Vancouver house, I have been freezing! But today we were visited by a heating company to give us an estimate to install a wood stove. Unusual or not, it is too cold for me, without a fire to get warm by! Last summer when it was warm and we were grilling in the backyard, on a lark, I asked my husband to grill up some of the lemons, that came in the big bag from Costco. Who would have known that the grilled lemon halves would add a bit of sunshine to or our winter meals? Yes, you did read that right, we grilled (roasted might be a better term...) lemon halves. The lemons were cut in half, and the fruity side was put down on the grill to roast to a puckery caramelized goodness, then packaged up carefully and put into the freezer. Those grill lemons were turned into a delicious salad dressing, and while it was not the warmth of the sun, it was a taste of springtime! 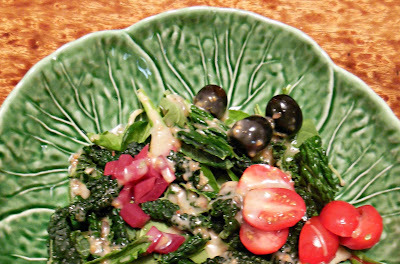 Even if you do not have grilled lemons, give this dressing a try. Then next summer grill up a few, and stick them away in your freezer to bring out on the coldest of days to add a bit of springtime to your winter meals. Combine the lemon juice, oil, sugar and flax seeds in a blender. Blend until the seeds have been chopped into small pieces. Place contents from the blender to a screw top jar, add remaining ingredients, cover and shake well. 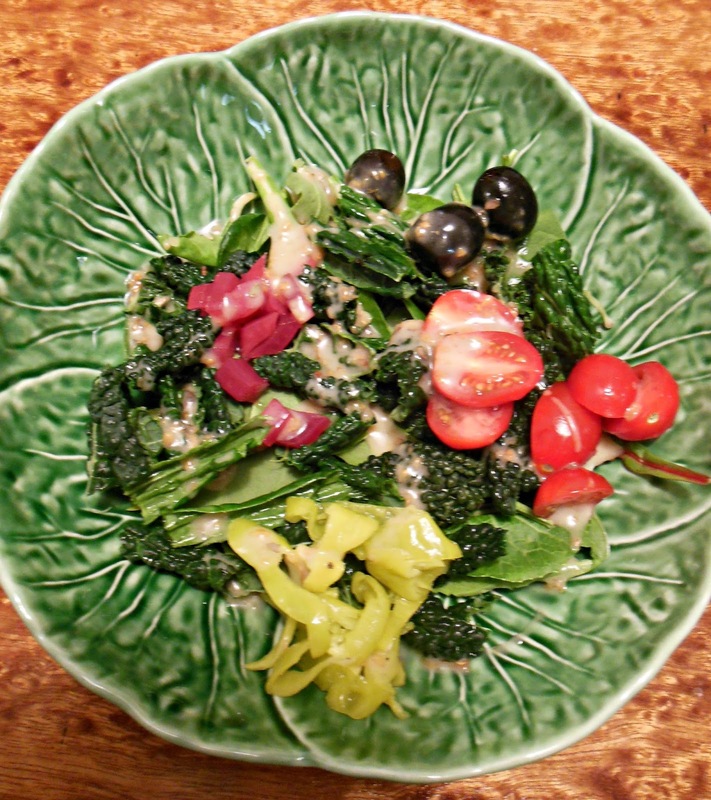 Drizzle over mixed greens, tomato slices or leftover steamed vegetables. 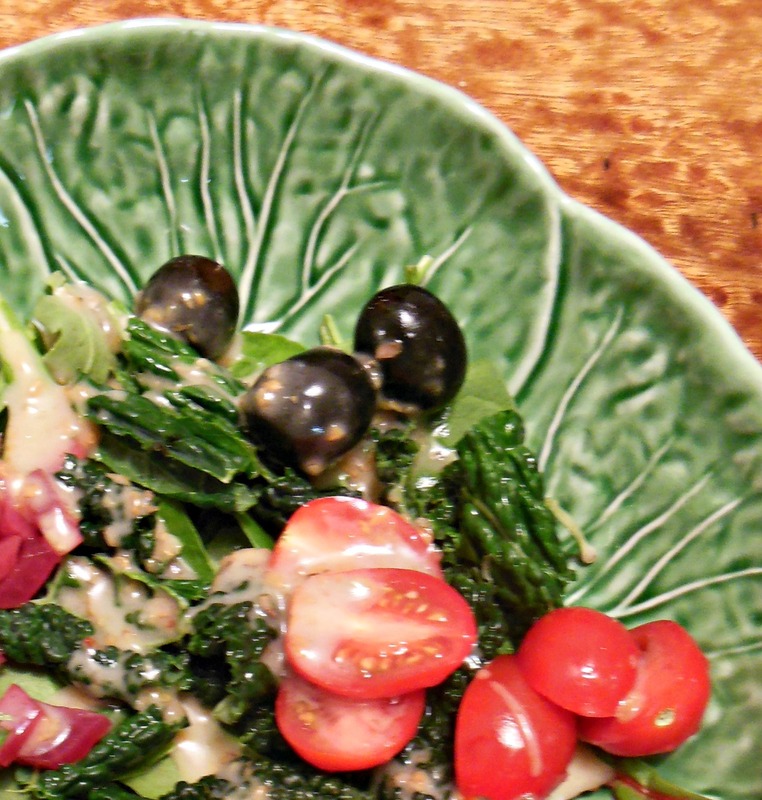 Roasted Lemon and Basil Salad Dressing. Sounds delicious - I truly love lemons. Pinned and shared. What a great idea to grill up the lemons! This dressing sounds bright and fresh. It is, we ate it quickly. I will have my dear husband roast up a bag of lemons next summer! Your Roasted Lemon and Basil Salad Dressing looks delicious. Hope you are having a great week and thanks so much for sharing your awesome post with us at Full Plate Thursday. We look forward to seeing you again real soon! I just bought some lemons yesterday in hopes to add some brightness to this cold dreary winter. Now I know what to do with them! Thanks for sharing with the Homestead Blog Hop. Hope to see you next Wednesday! This sounds great! thanks for sharing on the What's for Dinner linkup! I have never thought about grilling lemons and then freezing them. What a great idea....Do you think you could used preserved lemons in this dish? Oh my goodness, what a wonderful idea. Grilling or roasting lemons would add so much flavour! 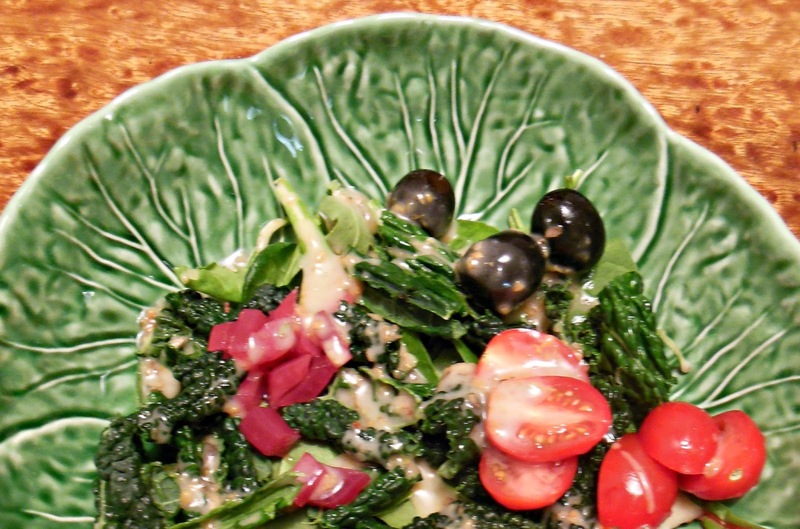 Your Roasted Lemon and Basil Salad dressing sounds amazing, Melynda. Thank you for bringing it to Hearth and Soul.